In order to add additional users to your account you must have first paid for additional users Click Here to place your order if you have not already done so. Step #2 From the top Right select the Create New User button (only shown if your account is eliglble to add additional users). 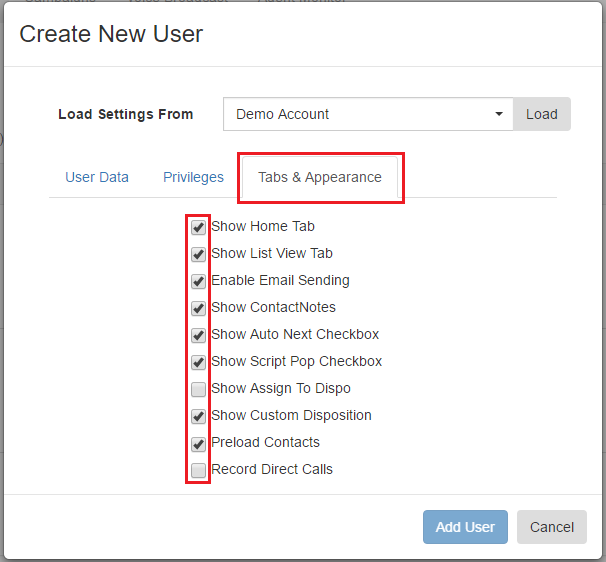 If you have already purchased or requested your additional users you will need to log out and log back in the see the Create New User button if its not showing. Step #3 Once you've selected the Create New User button simply fill in the required information as shown below. 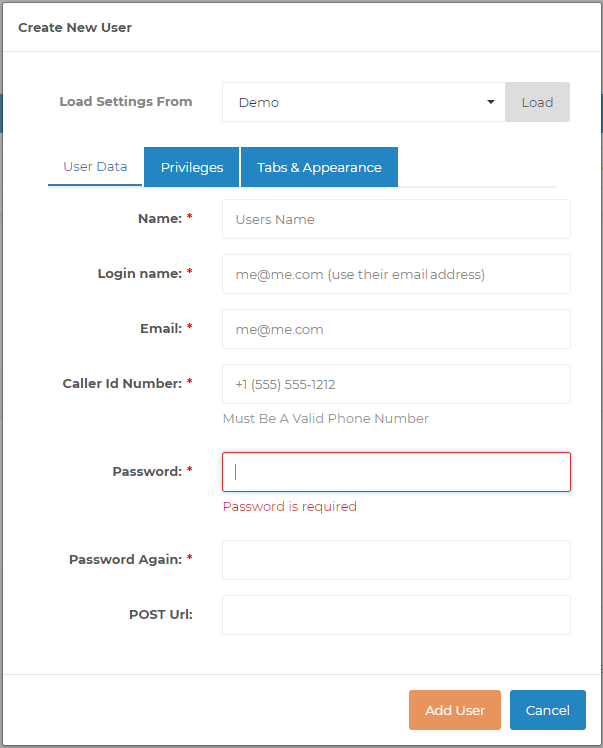 Be sure to set the users Email Address as the Login Name since the system needs each users login to be unique. The caller ID Name can be the representatives name or the company name what ever you decide. *Note: The POST URL and Support URL options are to allow the user to integrate with a 3rd party CRM. 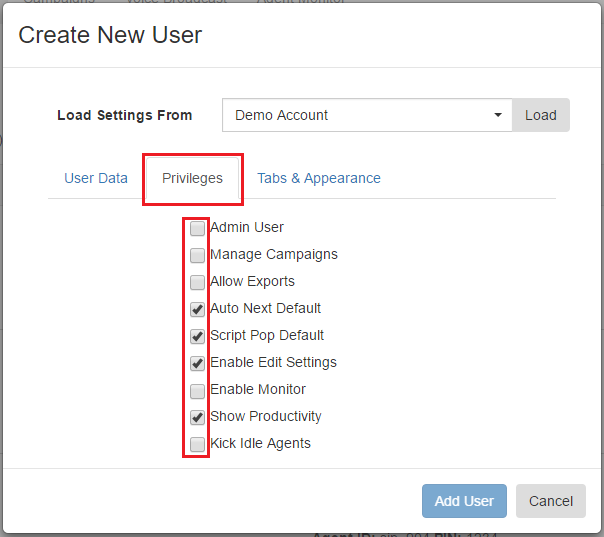 Step #4 Select the Privileges tab and check the privileges/options you wish to assign to the new user (items checked below are most common for a standard agent/user). Step #5 Select the Tabs & Appearance tab and check the viewable /options you wish the new user to see (items checked below are most common for a standard agent/user). Step #6 You're Done click Add User and provide the New User there log in credentials. Predictive Dialer How do I add numbers a users phone book for transferring calls? Predictive Dialer How do I set up agent call scripts? Predictive Dialer How do I set up email templates to send emails?